The National Energy Board has found hundreds of parts currently being used on major oil and gas pipelines are not as strong as previously thought and could expand or break if put under enough pressure. The parts are pipeline fittings, similar to those found in home plumbing such as elbows, tees and reducers, however they are much larger — about one metre in diameter and two metres long. According to the NEB, the steel fittings were not manufactured up to Canadian standards, however the regulator is not concerned enough to order pipeline companies to replace them — at least not yet. The faulty pipeline fittings should still be able to move oil and gas and withstand the outside pressure caused by storms, floods, earthquakes, temperature changes and other natural events, according to the regulator. "Steel is a wonderful substance. It's very forgiving; it gives you plenty of warning," said Iain Colquhoun, the NEB's chief engineer, in an interview with CBC News. "There is considerable conservatism in the standards of how we design things. So there is a margin [of error] within the design." The NEB first became aware of a problem several years ago when some pipeline parts in the United States were found to have expanded under pressure. Then, in 2013, a TransCanada gas pipeline burst southwest of Fort McMurray in Northern Alberta. A Transportation Safety Board investigation found some pipeline fittings had swelled, although that didn't cause the incident. That's when NEB engineers stepped up their efforts to identify the problem by taking a closer look at how the fittings were produced by manufacturers around the world. 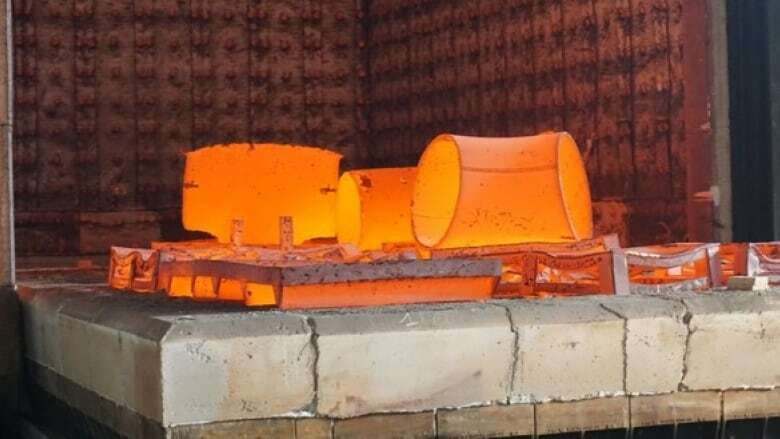 Senior staff even flew to Italy to see the process firsthand at one facility, including how the steel was heat-treated. NEB investigators ultimately concluded the problem resulted mainly from changes in manufacturing processes as companies began using more high strength fittings about a decade ago. 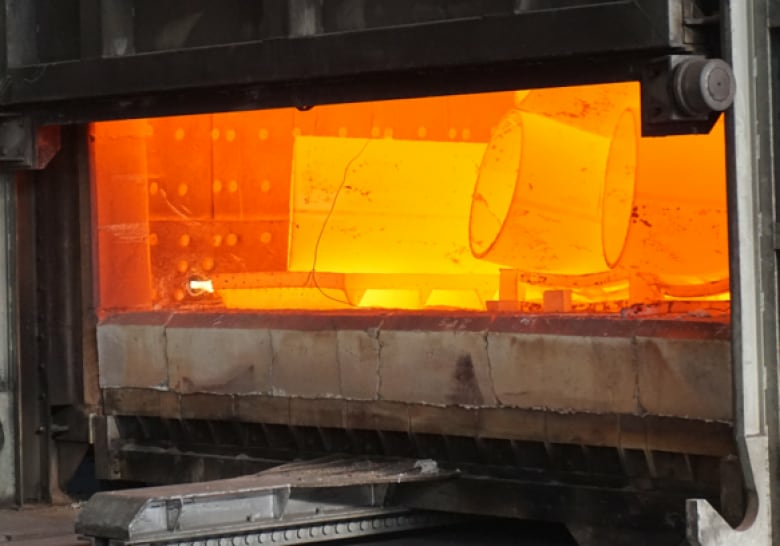 The different manufacturing method was producing pipeline parts that were weaker than required. Specifically, engineers pointed to problems with inappropriate water temperatures, uneven heating and improper tempering time, among others. "The physics is now perfectly understood. The manufacturers are certainly onside," said Colquhoun. Some of the fittings in use in Canada have been strengthened, while the majority will be left alone. "The fittings in the ground can be addressed with enhanced inspection," said Colquhoun. "We want to get ahead of this, but it is not an immediate danger." Enhanced inspections include sending more so-called pigs through pipelines to detect any bulges. Pigs are sensor devices that are used inside pipelines to evaluate the health of the steel. Companies must also document which supplier produced their fittings and audit the manufacturers they use. The regulator usually takes action after a pipeline leak or other problem occurs, however, in this case, the NEB began investigating the issue before a spill or leak occurred. "There has not been a failure in service due to the issue we are addressing," said Colquhoun. "Some same say 'if it ain't broke, don't fix it,' but we understand the physics so we've taken the 'let's fix it before it's broken' approach. We're taking the proactive approach." The NEB held several workshops with manufactures, pipeline companies and other stakeholders during its investigation. The great oilsands era is over — so what now for Fort McMurray?